Our media team is happy to assist and provide reporters and journalists with more details and photos, and to arrange interviews. 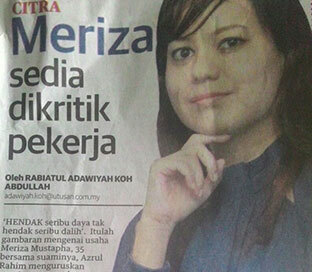 PERKHIDMATAN pembantu rumah domestik separuh masa melalui tempahan dalam talian semakin popular dalam kalangan golongan berkerjaya di negara ini ekoran kekangan masa untuk menguruskan rumah. ADIF is pumping a collective US$2.9 million (RM12.5 million) into six Malaysian technology startups, but declined to give a breakdown. Axiata is the Kuala Lumpur-based regional telco group, while Mavcap is the Malaysian Government’s venture capital arm. The Malaysian-owned companies were involved in travel, services, education, logistics and media industries. They are Maideasy, Tripfez, Easyparcel, Easyuni, SPOT News and Supahands, which will be funded over a period of 12 to 18 months. Speaking at a press conference, Axiata group COO Idham Nawawi said the group aims to further develop the technology companies – Tripfez, Easyparcel, Maideasy, Spot News, Easyuni and Supahands – to help them evolve into regional champions within the digital space area. 6 Malaysian tech companies were recent recipients of the RM12.5 million funding known as the Axiata Digital Innovation Fund (ADIF). Tripfez, Easyparcel, Maideasy , Spot News, EasyUni and Supahands are the companies which will have the upper hand with funding that can allow them to grow in the digital sphere. Axiata Digital Innovation Fund (ADIF) is making its maiden RM12.5 million investment in six locally-owned technology firms to strengthen their business and products in the regional digital services marketplace. ADIF in a statement issued yesterday said the recipients of its maiden investment are Maideasy, Tripfez, Easyparcel, Easyuni, SPOT News and Supahands. One of Malaysia’s largest telecommunications companies, Axiata, revealed yesterday the first batch of six companies that received a portion of RM12.5 million (US$2.9 million) invested from its RM100-million (US$23.4-million) Axiata Digital Innovation Fund (ADIF). 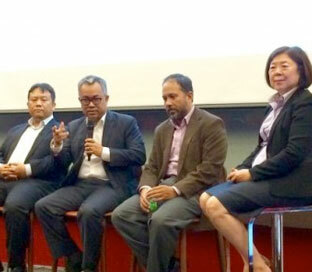 The startups were Maideasy, Tripfez, Easyparcel, Easyuni, SPOT News and Supahands — all Malaysian-owned. The six startups include Supahands, a virtual outsourcing assistant; Spot News, a curated news app; Tripfez, a company that provides hotel and tour packages to Muslim travelers; Maideasy , a platform to hire cleaners; EasyUni, which lets parents and students search and connect with universities and colleges; and Easyparcel, which allows people to book courier services. Supahands and Spot News also received funding from 500 Startups for this round. MAVCAP, a government-owned company, has invested in 225 technological start-up companies directly and through its 16 Outsource Partners (OSPs) since its establishment in 2001. MALAYSIA’S Ministry of Finance has kicked off the inaugural Rice Bowl Startup Awards, which will recognise breakout startups in the Asean (the Association of South-East Asian Nations) region that harness digital technology. Services startups: A trend that is sweeping up? 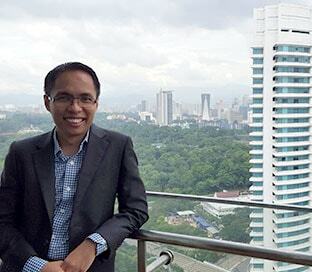 Should Rocket Internet choose to cast its expansion eye towards Singapore’s northern neighbour, one emerging rival would be Maideasy – a current labour of love for local entrepreneur Azrul Rahim. Maideasy is a new Malaysian startup that connects people to local cleaning service providers. Users key in the date, time and address, and Maideasy takes care of the rest. The platform launched exactly one month ago, but the idea has been with Co-founder and CEO Bee Bee Sim since October. She joined 1337 Startups’ five-day pre-accelerator programme around that time, where she met angel investor Azrul Rahim, who has since joined Maideasy as Co-founder and CTO.